November has been another crazy month. How have things been going for you (seriously, I want to know)? 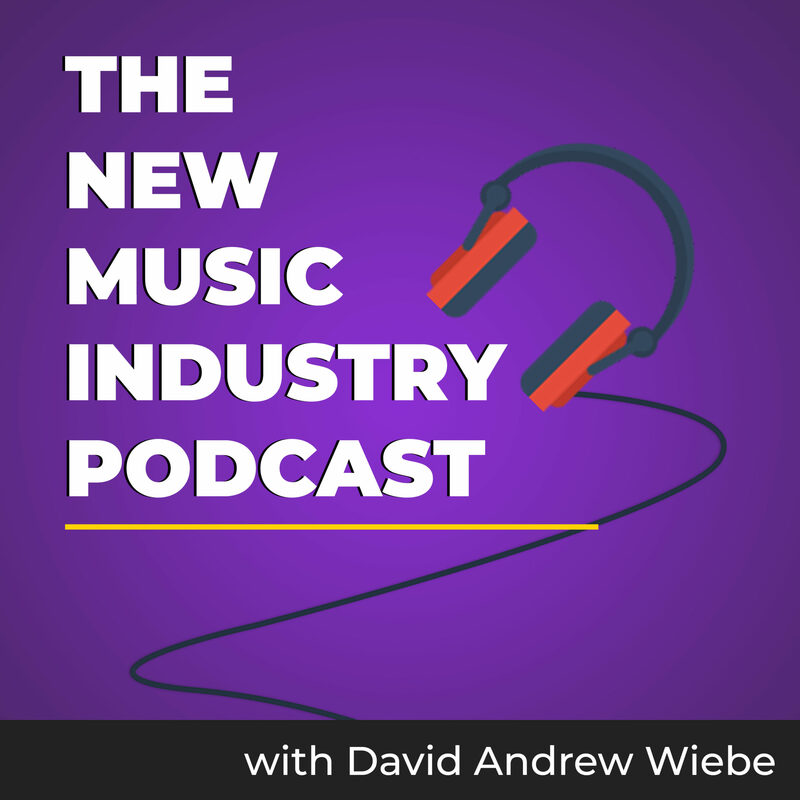 In this episode of The New Music Industry Podcast, I discuss what I’ve been working on, and how things have been progressing with my projects. 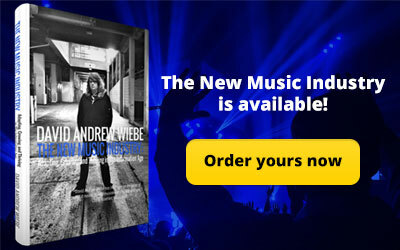 Hi, this is David Andrew Wiebe with The Music Entrepreneur. 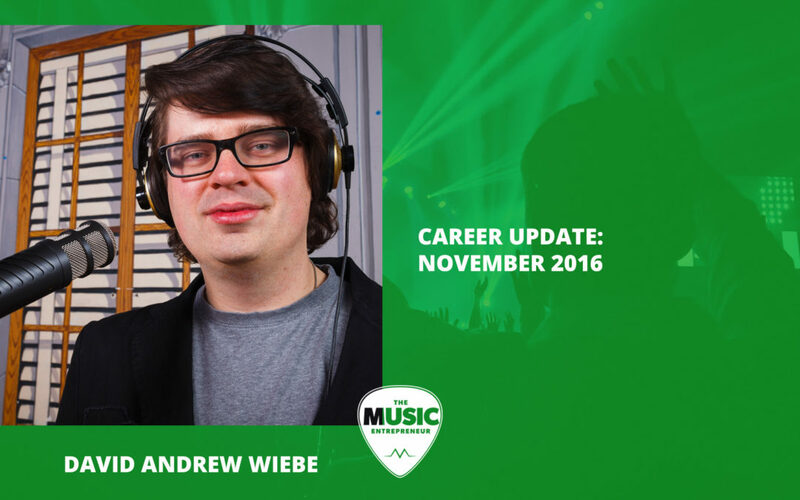 Today, I wanted to share with you my career update for November 2016. Welcome! I’ve been doing a lot of catching up here in November, but I still don’t feel like I’m totally caught up with everything that I need to do right now. I’ve had a lot of work to do. I’ve had about 20 extra articles to write this month for my regular work. I always make it a point to prioritize paid work over pro bono work even though I’m really passionate about some of the free or pro bono work that I do even with The Music Entrepreneur. I’m coming in to support your dreams, your visions, your goals, your honeypots or projects that you want to do. If you happen to be listening to this on the podcast, just like the last time, you should know that there is also a visual component to the whole thing so there is a video that you can watch and follow along with if you’d like to. But you can also just listen if that’s what you prefer. 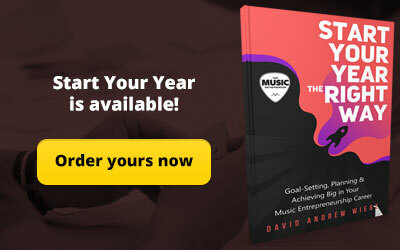 First thing I’ll cover is new posts on the website at MusicEntrepreneurHQ.com. There is 10 Books Every Musician Should Read in Their Lifetime. This was a guest post via the good folks at OfficeRock.com. Now, you should know I didn’t choose any of these books but they all sound pretty interesting to me and they might be worth the look. The next post that’s new in the site is What is Music Marketing? You’ll probably notice that there is quite a few sort of back to basics posts and content that’s been published on the site this last month, and that is a deliberate thing, partly because I’ve done more keyword research as of late and there are reasons for that. I’ll explain in a little bit more later but creating content around those specific keywords should help me drive more traffic and appeal to more relevant audiences. That’s pretty much what’s happening there. Another new post is How to Make a Killer Set List. I think this is pretty self-explanatory. Every band that performs live needs to put together a set list that really captivates their audience and holds their attention. This article talks about that in depth. But it is an article that used to be on the TuneCity blog when that was still around. It’s an updated version of that so I’ve add a little lot of content. There is another post that I took from the old TuneCity blog called How to Budget for Your Music Career. Again, I’ve updated it with additional detail. I think that’s a really important topic for any musician. You need to be able to keep up with your finances to be able to sustain your creativity over the long haul. This post covers that. Then there was Episode 19 of the podcast which was an interview with the wonderful Helen Austin. She’s a Juno award winning songwriter and artist in Canada. She’s not the first person on the podcast with an accent. Although some people might say that I have an accent, so that’s a whole other thing. I probably do have some kind of Canadian accent. Another post that went up is What is SoundExchange? If you’ve ever been curious as to what exactly it is, what SoundExchange does, and how they are different from PROs or performance rights organizations, I would suggest having a look at this because it tells you a lot about that. Another new post is What is Bandcamp? I don’t think there’s too many musicians out there that aren’t aware of what Bandcamp is, so I’ve provided some additional detail like how to market your music on Bandcamp and things like that in this post. There is also What is DistroKid? They are a music distribution service just like CD Baby or TuneCore. Sort of what’s so different about them, and what fascinated me was that they let you pay a one-time fee – I think it’s $19.99 – to distribute as much music as you want. That may be one of their attractive aspects of this specific service. 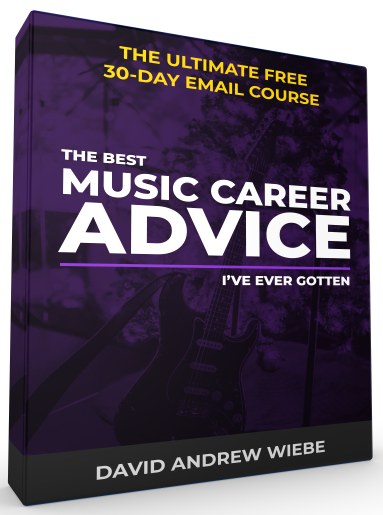 You might want to take advantage of it if you’re a particularly prolific musician that’s constantly distributing their music digitally. There is also Episode 20 of the podcast in which I did Traffic Analysis 2016. If you listened to the last episode, you know exactly what I’m talking about. All this content that I just mentioned will go in the November resource pack once it’s released, but like I mentioned earlier, I’ve been kind of busy. At this point, I’m still working on the October resource pack so I’ve got a bit of catching up to do in that regard. I’ll talk a little bit about what’s happening with products on the website as well. As you know, I’m working on my next book Flashes of Elation, but that’s maybe a kind way of putting it because I haven’t really had the chance to work on it a lot as of late. But I do want to get to it and I do want to do a better job of promoting it also. I’m tossing around several other book ideas right now. Now, I won’t really be prioritizing those certainly over Flashes of Elation but they are in the back of my mind as far as what I’d like to do after that. I’m also looking to create 2017 versions or updated versions of all the available products on the website. I think that will help with sales as well. Let’s get into projects. Now, something I haven’t really touched on before is projects because I actually do a lot outside of TME and my usual freelance writing work, so I thought I would cover these a little bit because I think they might be of interest to you and they do connect to the music industry in different ways. The first one is Using Your Power. Now, this is a new podcast. We actually just launched the website here in November. I think it was only a week or two ago that we officially launched. It was kind of a soft launch or I guess a better way of saying that is we didn’t do like a huge promotion when we went live. But I’ll use opportunities like this to let people know about the fact that there is this new podcast that I am a part of. 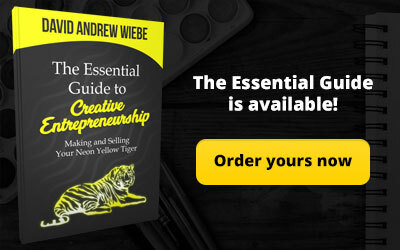 If you like my posts about personal development, reading books and inspiration, I think you’ll really like this and you may even want to move over there instead of The Music Entrepreneur because as you know The Music Entrepreneur is about entrepreneurship in music. 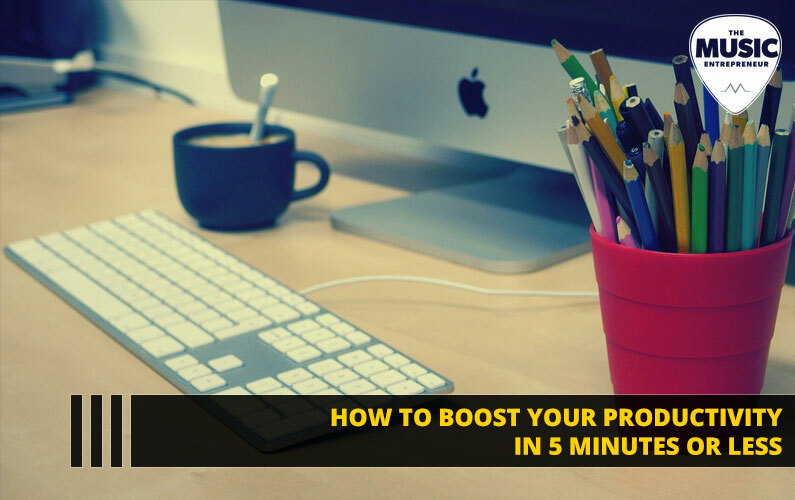 Although I do cover topics like mindset and inspiration and how to overcome mental blocks and things like that – and I think that’s important in every business. 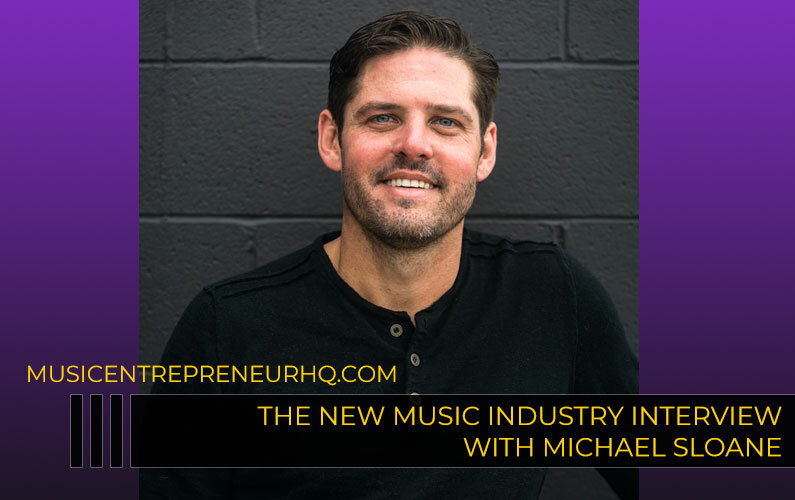 I also talk a lot about music marketing and some of the other things that I already mentioned like SoundExchange or Bandcamp, so if you’re looking for just inspiration and personal development topics, this is the one that you’ll want to check out. It’s at UsingYourPower.com. Now, there are several new episodes for November where we actually released a couple in October, but here’s the new ones for November: Buying a House, Pharmaceuticals (yes, we talked about prescription drugs and medications), and Endorsements. There is a variety of different kinds of endorsements from sports to books to businesses to various products. We all endorse on a daily basis. I’m learning to use that in a productive way. It can help you in your career or in your life. We talked about Community. That’s another new episode. Then finally there was an episode on Rest. Also a hugely important topic right now since so many people are talking about hustling and work and going crazy with that. There will be more episodes to come in December, so definitely check us out at UsingYourPower.com. Another project or community that I’m involved in is The Listening Room YYC. Generally, there are two events every month and I’ve talked about them the blog so you can also check out the descriptions or more in-depth descriptions of what exactly these events are. But I helped out at The Circle which is kind of like it sounds, it’s a singer/songwriter circle on November 2. Basically, what happens is every month we pay tribute to a known songwriter that has influenced all of us. And then, a group of three people also learn each other’s songs and perform on them. This makes for a very interesting performance because the performers actually only get together once to practice. It’s riding that boarder of somewhere between like a proper practiced performance and just like an open mic night. It’s somewhere in between those. The other night that happened is the classics which was on November 16, and that’s more of a jazz vocalist tribute type listening room. It’s a lot like it sounds, it’s like a house concert where people come to pay attention to the music and actually listen instead of talking over it and causing a lot of noise. So, the jazz one was also really great. Another project that I’m helping out with is The Question. In both cases with Listening Room as well as The Question, I do a lot of the website work but occasionally I do a presentation with The Question as well. Our regular presenter is Fred Tomagi but in November I decided to do my second ever presentation at The Question. So, I wrote a full presentation and shared it at the November gathering on the 20. So, that was another fairly major undertaking. I think it’s something like 5,000 – 6,000 words. Now, let’s move on into shows or performances. There is few dates in November but certainly not as many as October. This is all connected to kind of my music career activities. On November 3, I played at The Movie Mill in Lethbridge with Adrenalize. Now, this didn’t go exactly as expected. I think some things just fell through the cracks with marketing so we didn’t have much of an audience. But we did sound really good in the movie theater and that’s partially due to the help that we received from our sound guy. So, that was pretty cool. On November 11, I played with Long Jon Lev at Café Koi. This was a well attended event and overall a very enjoyable show so that was a really great one. Then, this was just this last weekend for me. On November 26 and 27, Long Jon Lev played at the Eau Claire Market which is downtown Calgary, at the annual market spot winter market. This was a pretty laid back performance but we had a lot of fun with that as well and gained more live experience which is always great as a musician. 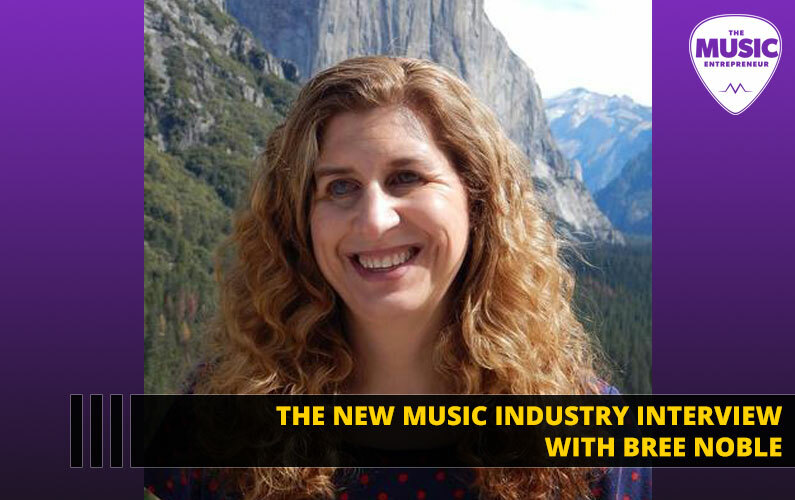 I’ll talk a little bit about what’s new with music. Unfortunately, there aren’t any new releases to talk about just yet but I am working on a new track called – or at least I’m calling it “Feeling.” I still have yet to record it but it’s all written. I’ve went through it a bunch of times to kind of figure out what the arrangement will be so that will be forthcoming quite soon. Compuxor is another project I’m involved in. It’s based around the quirky sense of humor of its founders which is myself and Captain K-Mart, also known as Karlo. Now, there is one unreleased track that I did. It is kind of a comedy space track so a video for that will be forthcoming. The one I did before was actually “Spilled Milk”. We did kind of the 90s-alternative parody for that so if you look up “Spilled Milk Music Video” on YouTube, you should be able to find that. Now, last year we did a Christmas special for Compuxor called “Wommy Saves Christmas.” We’re working on the second part so that should be forthcoming in December. That’s pretty exciting and a lot of fun. I’d like to review traffic. I know this is something I haven’t really done before. Although, I already did kind of a 2016 Traffic Analysis so maybe none of this will come as a major surprise. It’s something I talked about in the last episode of the podcast but here are the stats. So, this is where podcast listeners can’t see what’s going on and may want to go and check out the accompanying video for this episode as well. But in terms of sessions, November isn’t quite over as I show you this graph. But in terms of overall sessions, nearly 6,000. It’s 5,954 this month. Overall, I’m pretty happy with the way things are progressing traffic wise. The daily average is about 200 sessions per day. With a low of about 122 sessions and a high of 283 sessions or nearly 300, so that’s cool to see. But the bounce rate is way up at 90.17% and that’s much too high for my comfort so that’s something I need to work on and figure out why that’s happening. Maybe there is just a disconnect with the content people are arriving at. I don’t really know. The average session duration is also pretty short at 46 seconds. So, even though traffic is up and that’s really good to see, some of the stats are pointing to not so good things at this particular moment in time despite my best efforts to create engaging and interesting content, and of course educational content as well. Most of the traffic is new visitors too so that explains why there wasn’t much in terms of sales. I’ll be talking more about that in a moment but when you don’t have many return visitors coming to your site or people that have already had exposure to your site, it’s not surprising that it will be a little bit harder to convert. So, 86.71%, if you can’t see the numbers, is how many new visitors I have to the site overall out of a total of a 100%. I’ll talk about sales a bit. But I already alluded to the fact that it doesn’t matter a whole lot. I could show you all the payment dashboards. Maybe that’s something I will do in the future because I am a transparent entrepreneur, but really this month there isn’t much point. As far as I can see, I didn’t have any sales, especially not on my Gumroad. With the book sales, it’s kind of a different thing altogether where if I check my distributor at BookBaby or CreateSpace, I don’t see book sales for the current month until months after they actually occur. I guess that’s probably a little different with CreateSpace. Those might be a little more up to date. Certainly, with BookBaby I don’t see them for several months, so reporting is kind of slow that way. That’s something for me to work on for sure. I’ll talk a little bit about what I’m learning right now as I always do in my career updates. It’s always interesting reflecting on various lessons that I’ve learned over the course of a month because sometimes I don’t feel like I have total awareness, and maybe that’s just because I’m constantly “go, go, go” and don’t have enough time to really think about them before I read a blog post about my career update or record a podcast as I am right now. Now, I think what I’m realizing is I’m not as strong as a presenter and communicator – I would like to be – but I am always working on it. I think a project like Using Your Power kind of affords me to do that in a way. I get a chance to speak off the cuff and that’s exactly what I’m doing right now. I do have some notes in front of me, but a lot of the podcasts or a lot of the solo podcasts, that I’ve done to date have mostly been pre-scripted and pre-written. There’s only been a few like this one that are completely improvised and off the cuff or just with just some notes in front of me. I’m pushing myself out of my comfort zone in that way to improve my communication and presentation skills. If I’ve engaged you to this point, then I guess I’m succeeding but there is a chance I haven’t, so there is that. I’m learning about the importance of creating content that other people want, not what I want to write or create. 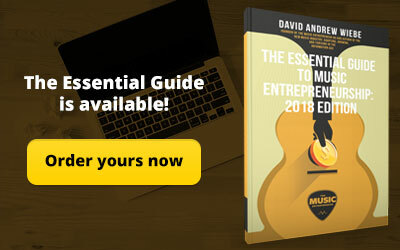 I think that’s actually reflected in the posts I’ve published this month at The Music Entrepreneur, I should say in November. Things about SoundExchange, things about DistroKid, things about Bandcamp. Those seems to be keywords people are consistently searching for. At least, I found that there was about 1,000 to 1,0000 searches per month which is a broad range. Thanks Google. And, that there is actually a low competition, meaning it’s not hard to rank for them if you have relevant, good content on those topics. But if people are regularly searching for them or the search volume is that amount on any given month then it’s something that I believe I should cover, especially since we’re talking about music entrepreneurship. I’m also being reminded. I don’t think this is something I’m learning right now. I am being reminded of the importance of reflection, stopping, thinking about projects, what I want to accomplish with them. 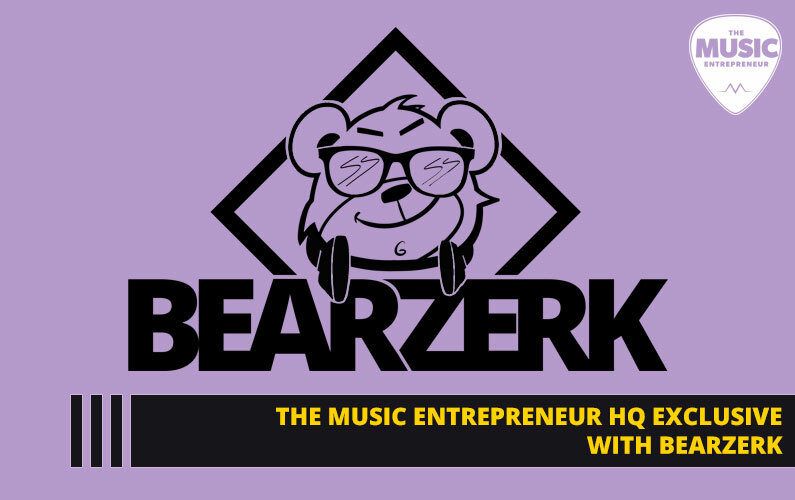 I’ve been thinking about The Music Entrepreneur and moving forward with it and what I’d like to do with it and what my goals are, and do my goals actually connect with this project or is there a different project that I would do better at. So, those are some of the things that I’ve been giving more thought to. There is not necessarily any logical end point. I think I’ve talked about this before with blogs or podcasts or websites. There isn’t necessarily a defined end point for whatever you do with a project like this. I’m starting to think about what that end point may look like for me. Things are hard right now, and Seth Gordon say, when things are challenging that’s not the time to stop. So, I’m not going to stop. I’m going to keep going. But you also want to think about whether or not you can be the best in your industry or the best in your niche. I’ve sort of defined some end points but I’m not coming to them any time soon. If you’re thinking I’m going to go away in the near future, that’s not at all what I’m saying. But what I am saying is that, I’ve put those milestones in place to tell me whether or not I’m doing something that’s worthwhile. Something that matters. Something that reaches people and inspires them. I know my book was one of those things but that’s just like one of many aspects of the website and music entrepreneur project as a whole. So those are some of the things that I’ve been thinking about and learning. Thank you so much for tuning in. That’s been my career update for November 2016.